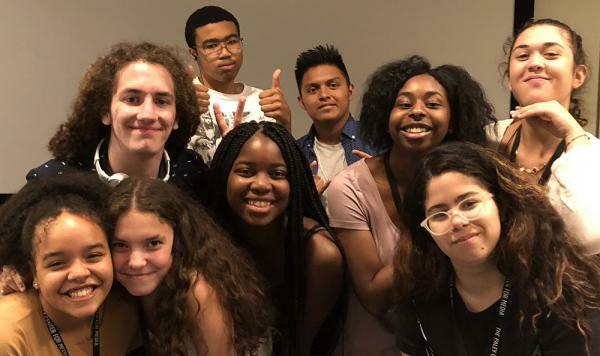 Teen Transmitters at the Paley Center for Media is a sixty-hour summer internship for rising tenth, eleventh, and twelfth grade students who attend New York City public high schools. The summer internship will last four weeks, meeting three times a week for five hours at a time (see full schedule below). What impact does media have on society? This is the essential question students will explore as a Teen Transmitters intern. During the course of this program, interns will take a deep dive into media literacy and explore how the words, sounds, and images they encounter every day make an impression on them. In addition to studying the media landscape, interns will find out what it means to be a media maker. Industry professionals, museum curators, journalists, documentarians, and podcast producers will be invited to speak to the students about their career paths and act as mentors over the course of the program. For the culminating project, interns will produce an original podcast series about their relationship to media. Above all, interns will gain skills in public speaking, interviewing, research, writing, and audio production that are crucial for college and career readiness. Special thanks to The Pinkerton Foundation for their generous support of this program. 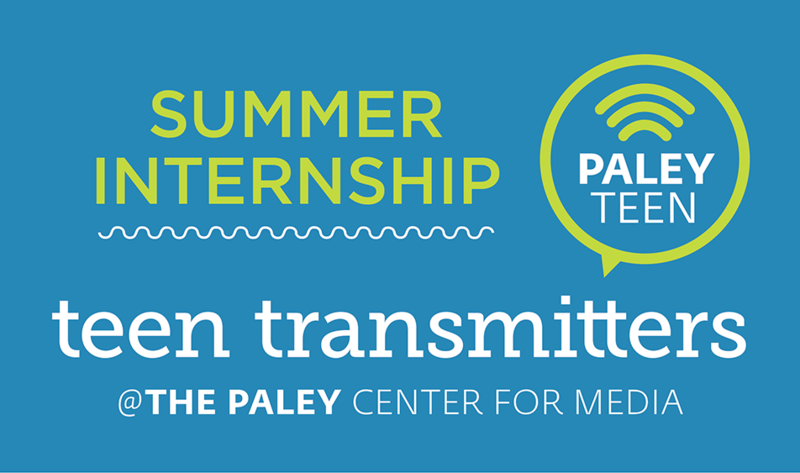 The Paley Center for Media’s Education team is proud to present summer 2018’s Teen Transmitters interns! Hailing from all over New York City, these nine high school students represent our first teen internship program. Over the course of four weeks, the interns explored what it takes to be media literate consumers and creators. They used the Paley Archive to explore essential themes of media studies like target audience, construction, and representation. They wrote and produced their own series of podcasts examining their generation's relationship to media. They spoke to media industry mentors about the next steps to take on their path to college and career readiness. Through all of this work, the interns remained thoughtful, driven, and collaborative. Special thanks to The Pinkerton Foundation for their generous support of this program. If you have any questions about Teen Transmitters, please feel free to reach out to Caroline Quigley at cquigley@paleycenter.org.